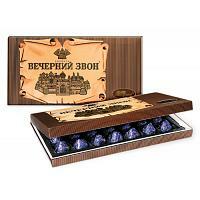 Light praline chocolates by the Babaevsky confectionery factory of Moscow. Filling: crushed hazelnuts. Weight: 15.9 oz (450 g). Imported from Russia.